Lancaster, PA May 3, 2017 – Advanced Cooling Technologies (ACT) announced today that UL Recognition and UL Listing testing have been successfully completed for its Heat Sink Cooler (HSC) and Heat Pipe Cooler (HPC) Series products. ACT’s sealed enclosure coolers are used to dissipate heat generated inside enclosures or cabinets that house and protect electrical/electronic equipment from harmful environments. The 115VAC units received a UL listing mark. All other voltage versions (230VAC, 12VDC, 24VDC, and 48VDC) are UR Rated/UL Recognized. These approvals are required by OEM’s and Systems Integrators, which are required to follow the UL 508 Standard for Industrial Control Panels. In addition to achieving UL Certification, the products successfully passed NEMA rating tests. ACT’s sealed enclosure coolers meet UL 50E waterproof testing that qualifies the products to be used in NEMA 12, 3R, 4, and 4X designated applications. ACT’s Sealed Enclosure Coolers for NEMA 12 cabinets are typically used indoors and provide protection against drips, dust and falling dirt. NEMA 3R coolers are typically used in outdoor applications that will be exposed to rain. And, NEMA 4 and 4X coolers are typically used indoors or outdoors and must be water tight under intense wash down/ spray down usage. The NEMA 4X version, while similar to NEMA 4, is further ruggedized with 316 stainless steel covers and epoxy coated fins for enhanced corrosion protection. Sealed enclosure coolers are required to efficiently transfer heat from the inside cabinet space to the outside environment while maintaining the mounting seal. 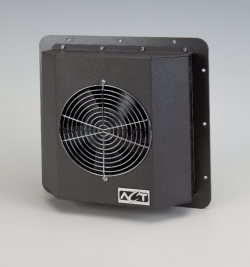 ACT’s HSC series of coolers are based on a patent pending design that utilizes thermally efficient air impingement technology and heat sink components, which have been perfected and are being mass produced and used by the computer industry. 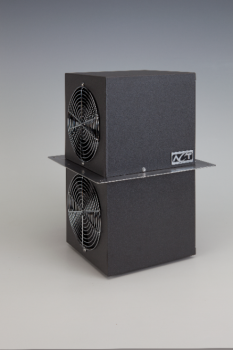 As a result, the HSC series offer some of the best performance/cost ratios among all sealed enclosure coolers. ACT’s HPC series of enclosure coolers is based on the popular heat pipe heat exchanger technology and it incorporates advanced fin features for enhanced heat transfer performance. As a result, the HPC series offer some of the best performance/volume and performance/cost ratios among similar products. More information about ACT’s sealed enclosure cooler products, including datasheets, user manuals, an online selection tool and online purchasing, can be found at: www.1-ACT.com/Enclosure-Cooling. ACT specializes in advanced thermal technology development and custom thermal product manufacturing. ACT designs and manufactures cold plates, HiK™ plates, heat pipes, pumped liquid and two-phase loops and thermal storage devices for customers in diverse markets including Aerospace, Electronics, Temperature Calibration, Medical Device, LED, and Energy Recovery Systems. ACT’s facility measures more than 50,000 square feet, including office, laboratory and manufacturing spaces. With ISO9001 and AS9100 certified quality system in place, the facility has designed and manufactured high quality and cost effective thermal management solutions for dozens of mission critical satellite and military programs as well as for numerous commercial applications.